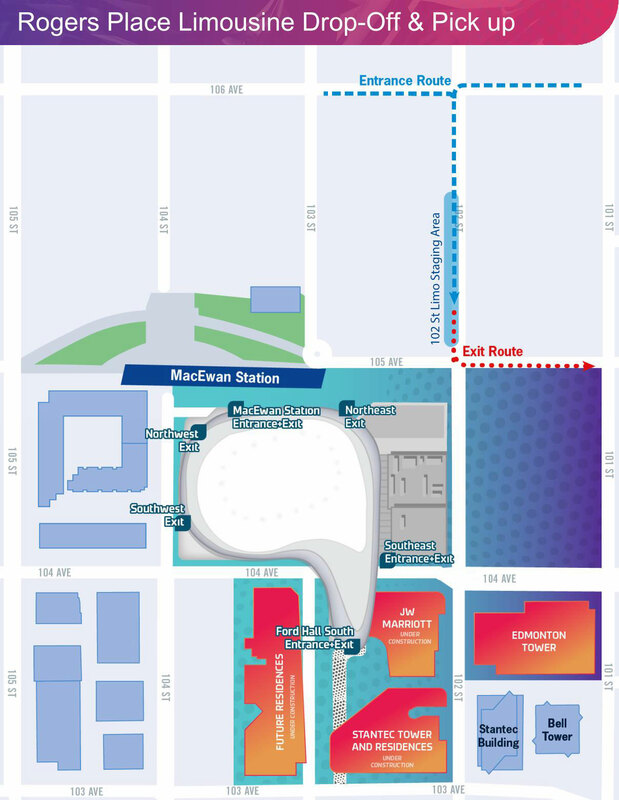 The Downtown location makes Rogers Place easily accessible by transit, with over 40 bus routes and 5 LRT stations within walking distance from the arena. 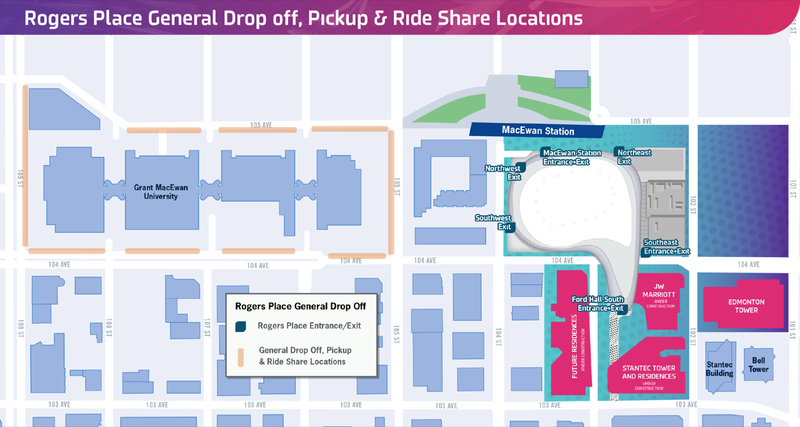 Rogers Place has several designated drop-off and pick-up locations for the general public and ride-share. We have teamed up with Parking Panda, the leading provider of online parking reservations, to offer parking passes for surrounding lots & parkades. 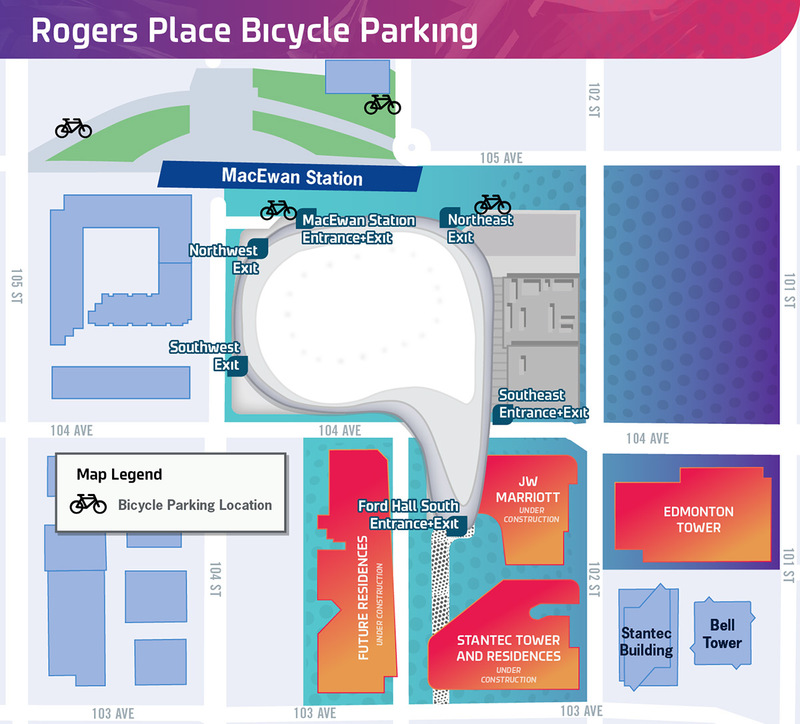 Encouraging sustainable transportation, Rogers Place provides bike racks on the north side of Rogers Place near MacEwan Station. Other bike racks can be found in adjacent areas around downtown. 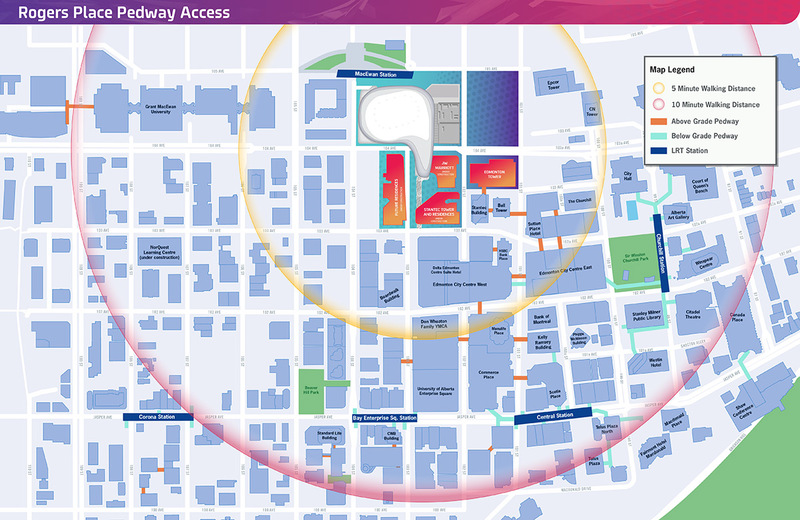 Pedway connections are indoor links between buildings. 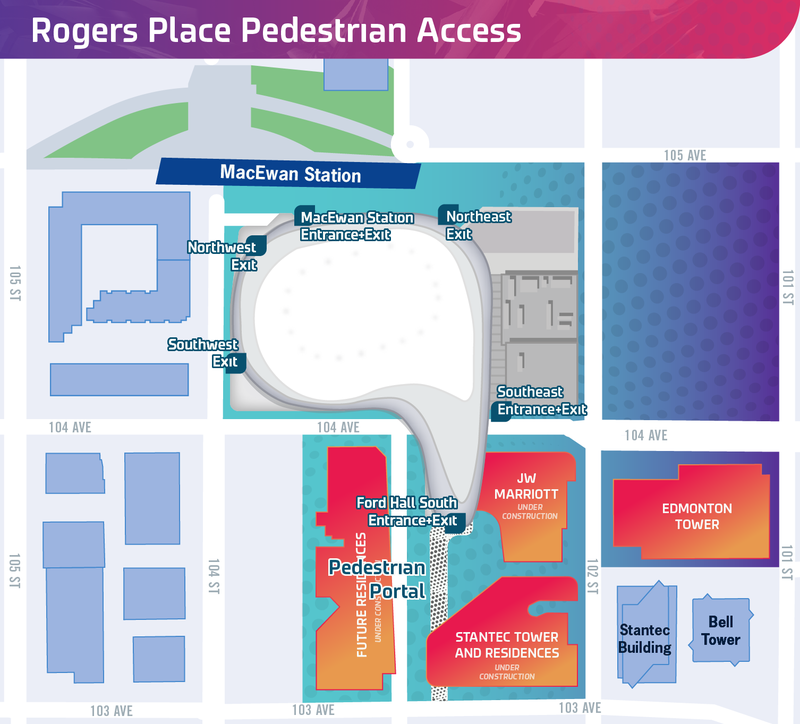 The pedways provide year-round comfort and convenience, and have indoor access to adjacent parking and LRT stations. 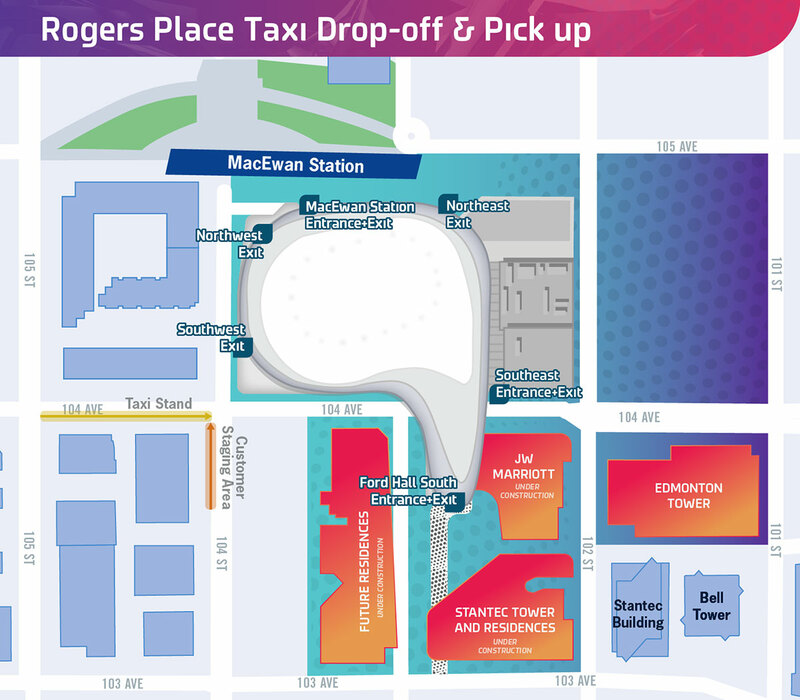 Signage will indicate where to line up to catch a taxi post-event on the west side of 104 St, south of 104 Ave.
Yellow Cab, the preferred transportation provider of Rogers Place, get your fixed fare with the new APP. Rogers Place has specified drop-off and pick-up along 104 Ave, west of 102 St for Disabled Adult Transit Service (DATS) and tagged vehicles. 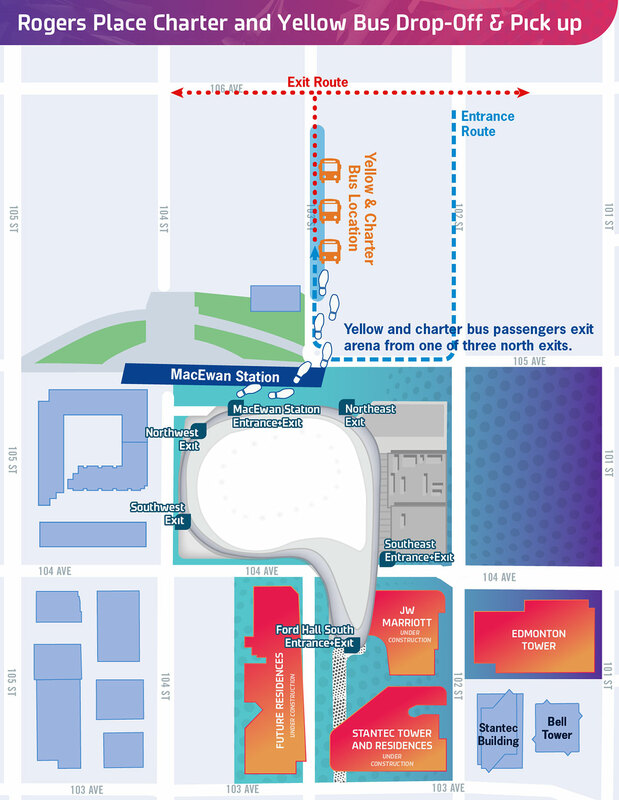 Prestige Limousine, the preferred transportation provider of Rogers Place.